The value of transactions completed by dealmakers at South West law firm Ashfords has jumped by a third over the past 12 months. The firm completed deals totalling more than £900m in 2018, an increase of £320m over the previous year. Transactions included investments, re-financing and share transfers. The type of deals handled by the firm, which has one of its six offices in Bristol, reflected its growing dominance in the tech sector, it said. It pointed to the sale of cloud service company NewVoiceMedia to New York Stock Exchange-listed Vonage for $350m, for which it advised venture capital funds Notion Capital, Eden Ventures and BGF. 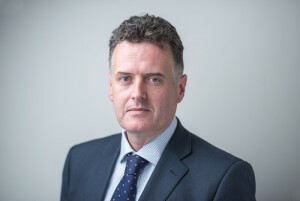 Ashfords chief executive Garry Mackay, pictured, said: “Our corporate finance team is one of the leading in the UK and the largest in the South West and growing, which is reflected in the portfolio of deals carried out in 2018, both in terms of variety and volume. In December Ashfords announced its intended merger with Thames Valley-based Boyes Turner, resulting in a combined turnover of £60m, with seven offices, 100 partners and 600 staff.